Films set in the Marvel Cinematic Universe tend to be pretty epic in scope. Iron Man jaunts around to different parts of the world, Captain America’s missions often take him to exotic locales, and Thor’s adventures often take him beyond the cosmos. So is it a surprise that early set reports indicate that Black Panther—currently the 10th Most Anticipated Film as voted by ComicBook.com readers—will be a sweeping adventure just like its Marvel Studios predecessors? Get Out star Daniel Kaluuya just made an impressive catapult into stardom with his role in Jordan Peele’s surprising and successful horror movie. As he’s been making the press rounds in the wake of his role in the film, GQ recently interviewed the actor to ask about his participation in Ryan Coogler’s Black Panther film. The British actor was pretty excited about his involvement in the production. The Game of Thrones comparison obviously stands out, especially with current comics storyline which sees T’Challa being challenged for power by various forces both within and outside of Wakanda’s borders. It seems like the film will take on a political tone, much like those in the Captain America films, as machinations against the Black Panther will attempt to stretch the character in his duties as king as well as his means as a protector of people. The entire interview is worth reading to see Kaluuya’s perspective and comments on making Get Out and how his personal experiences related to the film. Get Out is in theaters now. Black Panther is scheduled for release February 2018. Are you excited for the Black Panther film? Let us know with your vote in the Anticipation Rankings below! 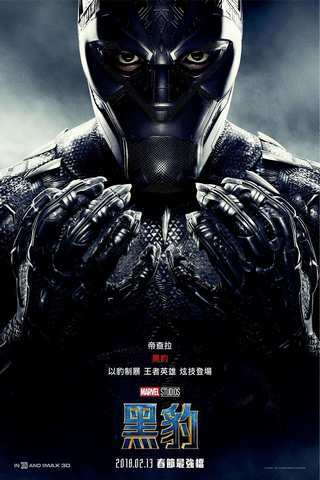 The film stars Chadwick Boseman, Michael B. Jordan, Lupita Nyong’o, Danai Gurira , Martin Freeman, Daniel Kaluuya, Angela Bassett, Forest Whitaker, and Andy Serkis. Additional cast members include Letitia Wright, Winston Duke, Florence Kasumba, Sterling K. Brown, and John Kani.